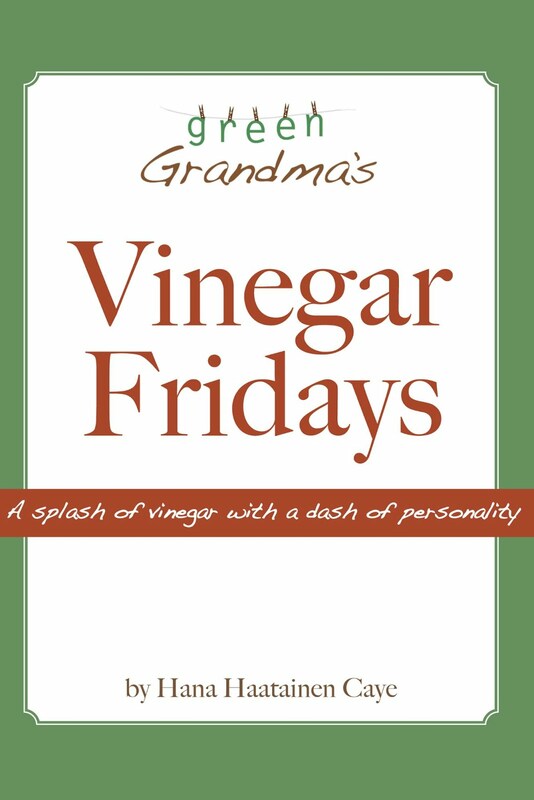 With so many new members of the GG community, I thought it was a good time to revisit Vinegar Friday once again -- this time, with an overview of the whys of vinegar. Enjoy! Toilet bowl cleaners, disinfectants and, of course, laundry bleaches can contain bleach. What is that a problem? Because bleach can cause skin irritations, as well as asthma attacks in asthmatics. Plus when it is combined with ammonia, the result is a toxic gas. So let's pretend you're cleaning your mirrors in the bathroom as you soak the dirt out of your toilet with a commercial bleach-based toilet cleaner. Next thing you know, someone in the house is calling 911. Should have used vinegar, I guess! Next, let's move on to formaldehyde. What? Isn't that the stuff used to preserve the frogs we used to dissect in biology class? One and the same. So what's it doing in cleaning products?! Good question. It's also found in pressed wood (common in furniture, kitchen cabinets and paneling) and carpeting and it can make you sick! If you read the labels, you'll find formaldehyde lurking in disinfectants, furniture polishes and detergents. Yuck. What is the problem? Well, formaldehyde may cause headaches...in my case, horrific headaches! It also causes nasal stuffiness, itchy eyes and nausea. Because I suffer from chemical sensitivities, it also triggers my Epstein Barr Virus Syndrome (EBVS) and fibromyalgia. Glycols. These are commonly found in degreasers, dry-cleaning chemicals and floor cleaners. What is the problem? Unless skin, eye, nose and throat irritation bother you, no problem at all! What is the problem? Maybe there isn't one...unless you splash some in your eyes, which very well might result in blindness. Plus, the combination of lye and acid can create hazardous vapors. A fresh smelling home is important to most of us. But if you have pets or athletic teens, this is not always the case. So you stock up on air and carpet fresheners. But make sure you read the labels first and avoid anything with napthalene. What is the problem? While your goal is to make it easier for everyone to breathe in your home, napthalene actually makes it dangerous to do so! Headaches, nausea and confusion are just some of the side effects. Finally, take a look at your oven cleaner and any pesticides you have. If petroleum distillates are listed among the ingredients, look out. What is the problem? Petroleum distillates can irritate the skin. The problem can be avoided with proper precautions, of course. Wearing gloves is a must! That's all I have for you today...now I must head downstairs and check out my dishwasher. I ran a cup of distilled white vinegar through a quick wash to see if it would help my problem -- I emptied it earlier and the filmy deposits on my glasses were nasty. I thought a dishwasher cleaning was in order. Then I'm going down to the basement to get my wash out of the washer (where I used a distilled white vinegar rinse) and get it out on the line. Can't wait to smell the freshness of it later when I take it down. There's nothing like sun and fresh air to dry your laundry -- the smell is divine, stains are bleached out and the electric bill is just a bit lower. 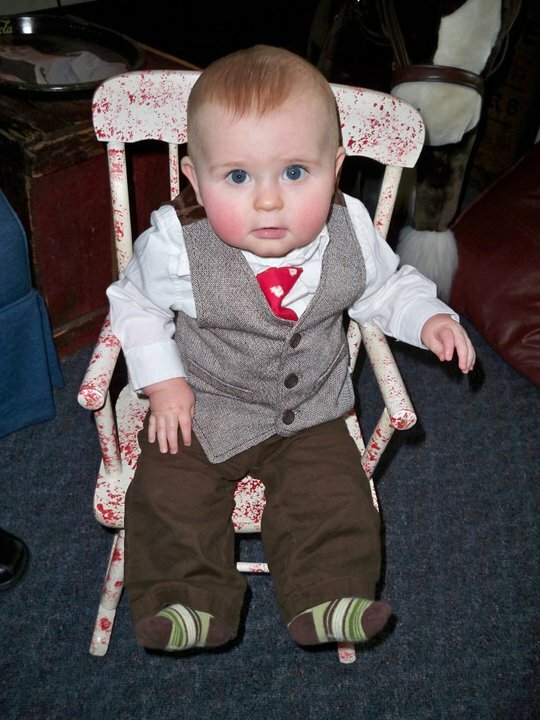 His name is Hemingway ... submitted by Jenn A.
Email me with your contact info and your choice of gift certificate. Have you been following any of the controversy about kids taking packed lunches to school? What do you think? Should parents be permitted to decide what their kids are eating? Or should the school district/government dictate their noontime nourishment? Of course, I'm one who believes kids should be able to take packed lunches to school. Naturally, I believe everything should be packed in reusable containers/bags, but that's a secondary issue. 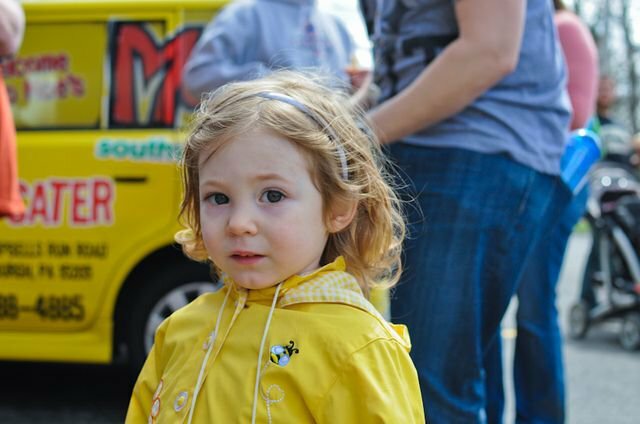 For those of you trying to pack healthly lunches for your kids, I'm happy to share an article I came across (and was granted permission to share) at EatCleaner.com. There are some nice ideas here for creative, yummy and good-for-them lunch fare. White bread and fluorescent snacks are so 1982. 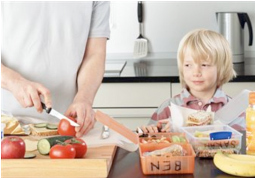 Here’s the 411 on Lunchbox fun…Gluten-free and flavorful treats that pack a nutritious punch. But be sure to play it safe. When it comes to perishables, prepare food the night before and put them in an insulated lunch box to keep them cool longer. Add in an ice-pack if food is sitting for more than 3 hours. Roll on: layer sliced chicken breast, lettuce or sprouts and chopped tomato onto a sprouted grain tortilla with a dab of stone ground mustard. Roll and slice into pinwheel pieces. Pita the Pocket: Fill a sprouted grain pita with tuna salad seasoned with lite mayo and studded with celery and raisins. Snappy Sticks: Clean and cut up your own celery, carrot and cucumber spears. Pack them in an ice-filled cup so they’ll be nice and crisp when they get snapped up. Add a side of whipped veggie cream cheese to dip. Fruit Kebabs: Who doesn’t love food on a stick? Skewer fresh strawberries, slices of melon and grapes with a side of low-sugar vanilla yogurt and a sprinkling of natural granola. Makes a great breakfast on the run, too. Rasta Pasta Salad: With a vegetable peeler, create long ribbons of carrot and zucchini. Steam and add to brown rice pasta (let them pick their fave shape). Season with a little grated cheese and butter and heat up in the morning before they head out the door. Veggie Grilled Cheese: Cheddar, red bell pepper and steamed broccoli get cooked between two pieces of sprouted grain bread. Press with a spatula and seal it all in for one-handed eating ease. Simple Sushi: Sushi rolls are no longer a snooty snack. Grab some Sea Snax olive oil toasted seaweed and roll up some vinegar-seasoned brown rice, avocado and cucumber hand rolls. An A+: Spread almond butter and sliced apples onto a warm sprouted wheat tortilla and fold in half. Give it a quick glow in the pan for a nice nutty flavor. Today's review is actually an overview of the various types of cloth diaper choices out there. Hopefully with this review, you'll be able to decide what's best for your little one's behind. Along the diapering road less traveled, which we will call “Cloth Diapering Lane,” many travelers begin with convictions, ideals and/or economic necessity. But the path is littered with the indicators of travelers’ about-faces, their tracks wending back to the fork in the road, slinking back to hide among the hordes travelling “Disposable Diapering Freeway.” Some who turned back are not just merely disappointed, but chagrinned and even maddeningly so. They really wanted it to work. Why do not all who travel in earnest make it to the destination? Is it because cloth diapering is really, irrevocably outclassed by superior technology that nothing but throw-away plastic can hope to parallel? Is it because it is so demanding that no parents but the most patient will be able to persevere? Or is it overwhelmingly due to phenomena common to alternatives: lack of prominent visibility of choices in mainstream media, and the absolute glut in the market that makes trying each kind for comparison quite unattainable (and unaffordable)? Here, parents who’ve found success and failures with cloth share their experiences, which hopefully can serve as a GPS to other parents intrepidly embarking the cloth diapering journey, hoping to buck conventions about 21st century diapering. 1. Do not fall for the cloth diapers available in common retail stores such as Target, Toys 'R' Us, etc. Their absorbency is very sub-par compared to prefolds available through specialty cloth diapering stores on the internet. Kelly, 34, of New Jersey, shares this wisdom after twice trying cloth diapering, and twice giving up, using the Gerber cloth diapers readily available in a retail store. Their daughter was “sopping wet” and the stench of urine about her was none-too-pleasant either. “We were changing diapers constantly,” Kelly recalls, “and using a lot more wipes because her bottom and legs were wetter than with disposable diapers. The diaper covers (those old-fashioned plastic pants with the elastic legs/waist) leaked, so multiple clothing changes were necessary too. “At the end of the day, we basically had an entire load of smelly, urine-soaked baby laundry to do,” she explains. Despite her motivating concerns for the environment, Kelly, with a bachelor’s degree in Environmental Science, swallowed her pride and resorted to disposables because of her experience with Gerber cloth. I can resonate with her disappointment, in comparison with other cloth prefolds I’ve used previously. I wanted merely an extra dozen prefolds to lengthen the gap between wash days, so I bought the Gerber ones at a local store, because it was easy. One try, and they were quickly demoted to hand towels! Their absorbency was laughable! 2. Talk to people who have cloth diapered successfully, recently, with products they recommend highly. If you don’t know anyone, find people on an Internet forum to discuss what works for them, or read mama blogs dedicated to cloth diapering. This is a crucial key to your success, because perhaps the biggest roadblock to successful cloth diapering is the fact that without insider information, you may likely spend money on inferior products, become discouraged and give up, thinking cloth diapering was a big mistake. The research time may seem overwhelming. The sheer variety can make one’s head spin. Again, this is where endorsements from others experienced with the diaper come in very handy. I received a great gift—I literally duplicated the choices of a friend who’d been doing cloth for years. I benefitted from her trial and error and started with the best products she’d found. 3. Take others’ recommendations with one caveat: an enthusiastic endorsement of a product does not guarantee it will work for your priorities, just as a mama blogger’s naysaying of a particular diaper does not mean you will be disappointed. I recently learned this lesson when I really needed to find that hybrid diapers would work for me—for my situation in a stage of my second son’s life, the hybrid was my only hope left to keep my kid in cloth. And I was rather desperate in this desire, for I’ve researched too much about the ingredients in disposables to ever want to have no other choice. 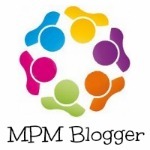 ﻿ I read a very articulate denigration of hybrid diapers in one mama’s blog. She found no point in them because they didn’t meet any of her needs. I was discouraged, but because I was desperate, I decided to give them a try nonetheless, hoping against hope that the multiple negative reviews were wrong. I bought two different hybrids second-hand: the Flip and the gDiaper. I was pleasantly surprised at how well the Flip worked and solved our problems! I learned that my priorities were different from the other mamas’, and some of their reasons for disliking the diapers simply did not bother me. 4. Don’t assume prefolds are the cheapest route. I heard so often that going with prefolds was by far the cheapest option that I took it as common knowledge. But now I see that getting the Flips with stay-dry inserts would actually have been cheaper from the beginning! They appeared to be so expensive at $13.95 for a single cover and one insert—but because the cover can be snapped differently to accommodate different aged babies, buying 3-4 sets of covers by size wasn’t necessary. A starter stash of Flips can be had, brand new, for $200! SO don’t assume prefolds are the cheapest—look into what it’d really take to outfit our baby in another type if it’s what you like. 6. Make sure to read the care instructions when your diapers and covers arrive. Many diapers need to be “prepped.” A common reason parents get discouraged with a product is that it performs poorly—which sometimes results of improper care of the fabric. Julie, 35, of Pennsylvania, bought pocket cloth diapers for her first child, and was very disappointed with how poorly absorbent the cotton cloth diaper inserts were. She gave up and turned to disposables. Not until she had three children, age newborn to three, in costly disposable diapers did she give cloth another shot. She found out she had not properly washed the inserts initially, and they therefore repelled water. “After I followed the prepping instructions, they actually worked!” Julie discovered, a bit chagrined she hadn’t discovered this years before. Now her two children still in diapers wear cloth. The same goes for covers. Some with a waterproof coating come with instructions to hand wash or to avoid detergents, because the coating will crack. With my second baby, I ordered a larger size I’d never needed for baby #1, and then found out I’d never read the caution on the package about not washing the covers with detergent, which I’d been doing for three years! And yes, a couple of my covers were cracked and useless. 7. Your child’s health may dictate change. Kelly found this to be true after a few days of her daughter’s “sopping wet” experience in insufficiently-absorbent prefolds and non-breathable plastic covers, a combination that turned out to be a recipe for disaster. 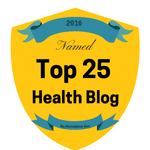 “Our daughter started to develop a really nasty diaper rash which turned out to be a yeast infection. We had to take her to the pediatrician and get her some antifungal ointment,” Kelly explained. Problems with the medication led to a raw rash. After getting rid of the yeast infection and rash, solved eventually by an “ointment that cost as much per ounce as caviar,” Kelly says, they stuck with Pampers ever after. The poor-performing Gerber prefolds created the preferred environment for yeast and bacteria to grow. Like Kelly, I found myself in a position when cloth seemed to be causing problems that disposables solved. I was mad, determined that cloth was better for my child. I found a problem after three years of diapering success with good quality cotton prefolds. My youngest baby even wore them for a year before a problem arose. Then suddenly, inflammation of his skin was apparent, and recurring infections forced me to put him in disposables. Every time I put a cloth prefold on him, in just a couple of hours, his skin flared up again. ﻿ ﻿What revealed itself eventually was that my child hosted a deeper infection, and the antifungal and antibacterial ingredients (toxic in and of themselves) of the disposable merely kept it from surfacing on his skin, while the cloth diaper allowed his body to scream out that something was wrong. While we worked through his health issue, I tried hybrid diapers for the feature of the Flip’s stay-dry inserts which performed the all-important duty of keeping his vulnerable skin from being damp all the time. 8. Know there is a learning curve. It may take a little time to find the best combination of fitting, absorbency and washing that works best for your baby and you. If you enter with the mindset that a failure or disappointment is not the end of the world, but an opportunity to find a better strategy, you will succeed with less frustration. The cloth diapering world is still minority and the market is so glutted with variety, there is no one best way nor one best product. No matter what kind of diaper you choose, there will be features of it that are superior and others you may not be so fond of—after-all, they are still diapers and you do still have to change them! Renee Lannan is a freelance writer, aspiring novelist and stay-at-home mom. Many of her online articles are accessible here. 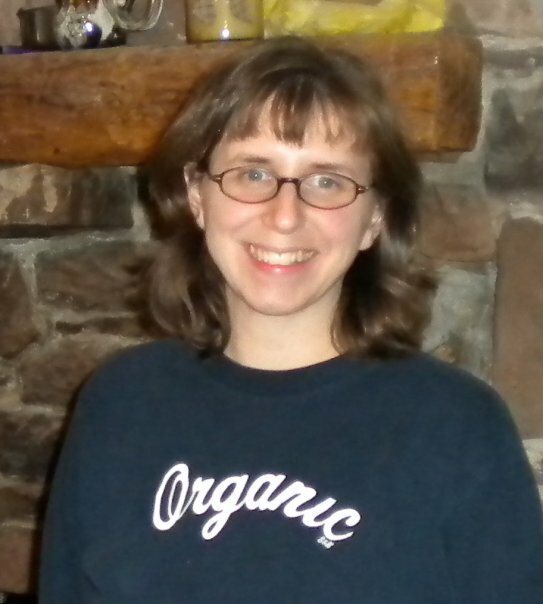 She also blogs about her "Nap-time Writer" experiences of the past year trying to start freelancing while raising two kids under the age of four. The results are not yet in, but so far, based on reports from six countries (Australia, Canada, Germany, Spain, Switzerland and United States), there are already over 4900 participants confirmed. Were you part of it? Part of what? If you don't know what I'm referring to, well, in an effort to set a world record with Guiness, mamas and papas across the globe changed their babies' diapers simultaneously on Saturday, April 23. The thing is, however, the diaper had to be a cloth diaper ... a commercially available cloth diaper at that! In other words, homemade diapers didn't count. And yes, people do actually make their own diapers. Really. Oh, and people actually use cloth diapers. 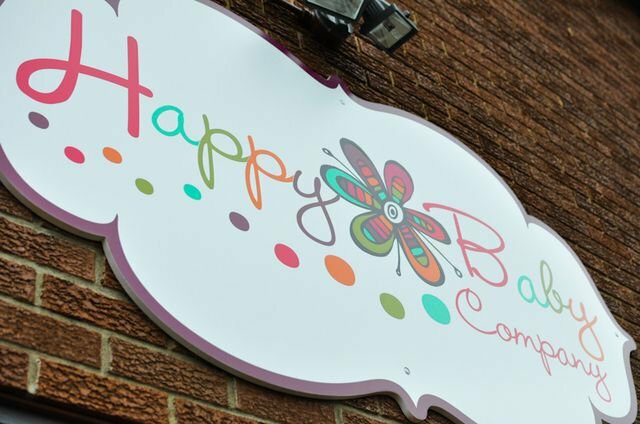 People like my daughter, Bethany, who participated in the event with her son Lincoln, at Happy Baby Company in Pittsburgh. I attended the event for a couple of reasons. One, I wanted to support Bethany and the other cloth diapering folks in the area. Two, I wanted to support Adam and Lilli Cannon, the gracious hosts of the event and owners of HBC. And the third reason I went was to meet some of you, the wonderful people who make up the GG Community here in Pittsburgh. My 30-month-old granddaughter, Laura, came along with me to the event, even though she is no longer in diapers. She seemed a bit overwhelmed by the amount of little ones all around and she was not her usual happy little self that day. The wonderful photographer, Jen Meyercheck, couldn't even get a smile out of her! From what I understand, the rules for the event were comprehensive and somewhat difficult to decipher. But the Cannon's played it by the rules and 60 diapers were successfully changed at 12:30 p.m. As soon as the cloth diaper was securely on, via velcro, Snappis, snaps or pins, the babies and toddlers were hoisted up into the air by their proud parents. Since I had Laura with me, I had to turn down Adam's offer for me to be a judge, so I wasn't actually in the room when the change took place. Can you imagine? Sixty diapers being changed at once. From what I hear, there was only one slight delay, as a mama tried to put a prefold on her newborn. That can be a bit of a challenge! I wonder what all the little ones were thinking as they looked around! Of course, they didn't understand that they were all part of a worldwide event that would not only set a record, but would increase awareness of the cloth diapering option. So many times over the last couple of years, as I've stood in a restroom changing a diaper, people have said to me, "I didn't even know they still made cloth diapers!" Sad, isn't it? For our family, we didn't even consider another option. So, the event, which purposefully coincided with Earth Day, is over. The counts are coming in and the record will soon be announced. Many of you participated throughout the world. I'd love to hear your stories! At the Pittsburgh event, there was food, awesome prizes (won by some of you in the GG community! ), and a camaraderie that was encouraging amidst a culture of throwaways! And check back on the blog tomorrow when I'll be posting an overview of cloth diapers by guest blogger, Renee Lanman. 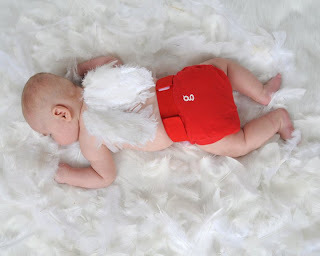 Review It Wednesday is all about reviewing various types of cloth diaper options this week, so if you know someone who is considering cloth, refer them to the blog tomorrow. Renee does an excellent job of sorting through it all. After a long and busy Saturday, which included the Great Cloth Diaper Change at Happy Baby Company in Pittsburgh where I met some fabulous cloth diapering mamas and papas, I finished up my shopping for Easter. By the time I got home in the evening, I was beat. But I pushed myself beyond the exhaustion and prepared for the next day. I cleaned, put baskets together, wrote cards, set the table, emptied the dishwasher and prepared food for Sunday's brunch. My goal was to do everything on Saturday, so that I could truly rest on this particular Sabbath. It worked! ﻿ This year, I invited the kids to join us for brunch after church, rather than having them do the usual running around back and forth to the in-laws. I prepared the casseroles on Saturday night, so all that was needed on Sunday was a transfer from the refrigerator to the oven. How easy was that? And I didn't even have to do it -- my daughter, Jess, got to the house sooner than the rest of us after church and popped them in the oven. The result? A restful and fun day. Yes, I did clean up the kitchen after we were done, with the help of my daughter, Bethany, but it was a pleasant task. Bill and I made a simple dinner, which we ate in front of the television as we watched the Hallmark movie on CBS. ﻿By working so hard on Saturday, I was able to appreciate the restfulness of Sunday. After the kids left, I scrolled through Facebook for a bit and then laid down with Bill for what I planned to be a 30 minute power nap. Three hours later, I woke up to a darkened room! I guess I was more tired than I thought! Talk about resting on the Sabbath! We went to bed shortly after the movie was over and I slept another 9 1/2 hours. Thus the late start to my Monday! It's evident I haven't fully bounced back from the mumps yet, but I'm working on it. It seems my immune system was just knocked out of whack a bit. So now, it's nearing noon and I have work to do (the real kind ... you know, that pays the bills). 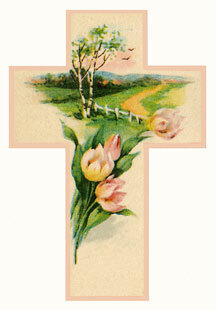 I hope you had a celebratory, as well as restful, Resurrection Sunday. And I pray the wonder of the day stays close to your heart. Tomorrow, I'll be posting some pics and writing about the Great Cloth Diaper Change ... changing the way folks think about diapering! on this blessed Easter day. Thanking God for all of you. 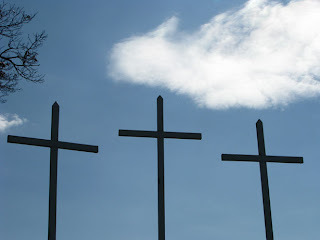 Earth Day and Good Friday ... what is the connection? "For I consider that the sufferings of this present time are not worthy to be compared with the glory that is to be revealed to us. For the anxious longing of the creation waits eagerly for the revealing of the sons of God. For the creation was subjected to futility, not of its own will, but because of Him who subjected it, in hope that the creation itself also will be set free from its slavery to corruption into the freedom of the glory of the children of God. For in hope we have been saved, but hope that is seen is not hope; for why does one also hope for what he sees? But if we hope for what we do not see, with perseverance we wait eagerly for it. And in the same way the Spirit also helps our weakness; for we do not know how to pray as we should, but the Spirit Himself intercedes for us with groanings too deep for words; and He who searches the hearts knows what the mind of the Spirit is, because He intercedes for the saints according to the will of God. For whom He foreknew, He also predestined to become conformed to the image of His Son, that He might be the firstborn among the brethren; and whom He predestined, these He also called; and whom He called, these He also justified; and whom He justified, these He also glorified. What then shall we say to these things? If God is for us, who is against us? He who did not spare His own Son, but delivered Him up for us all, how will He not also with Him freely give us all things? Who will bring a charge against God's elect? God is the one who justifies; who is the one who condemns? Christ Jesus is He who died, yes, rather who was raised, who is at the right hand of God, who also intercedes for us. ﻿But in all these things we overwhelmingly conquer through Him who loved us. For I am convinced that neither death, nor life, nor angels, nor principalities, nor things present, nor things to come, nor powers, nor height, nor depth, nor any other created thing, shall be able to separate us from the love of God, which is in Christ Jesus our Lord." 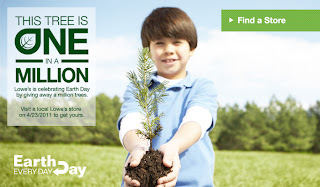 So, what are you doing for Earth Day this year? With Earth Day falling on Good Friday, many are opting to honor it on Saturday, April 23rd. Including Lowe's, who is offering free trees to customers that day. Make sure you check out your local Lowe's and plant a tree this year. If you don't have anywhere to plant a tree, you can always visit O'BON and purchase one of their eco-friendly products. O'BON plants one tree with every purchase! Today's review is a bit different. I am reviewing a website I was recently introduced to. It is called Earthly Reward and offers a unique way to be rewarded for shopping green. Here's the deal -- if you have a Paypal account (which is necessary), you can join Earthly Reward for free. You just sign up with your email account and you can start shopping and earning cash back (2%-10%)for every purchase you make at countless retailers around the world. The way it works is you select what country you are in and shop retailers that ship to your country. At this point, they only award Earthly Points (ep) in currency used by Paypal. One ep = 1 $, £, €, etc. 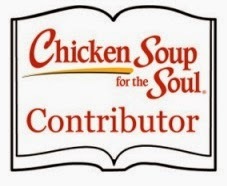 At the end of each quarter, funds are deposited into your Paypal account. Make sense? The green shopping categories range from Green Wedding to Office Supplies to Green Transportation to, our favorite, Babies and Kids. I was thrilled to see a familiar "face" in the crowd of retailers -- Earth Mama Angel Baby! The downside? Just because a retailer claims to sell green products, you can't always count on it. Don't be fooled by names like Big Green Smile, a featured retailer that sells lines of products ranking high on the toxins lists on Skin Deep's Cosmetic Safety Database (Jason Natural Cosmetics and Giovanni products, for example). So you'll still want to do your research. But, all-in-all, this is a good deal if you're looking to buy eco-friendly products from companies that care about the environment. Sign up at Earthly Reward couldn't be easier and the site is user friendly and a breeze to navigate. So that's it for this week's review. No giveaways. No products you can try. Just a website you might find handy in celebration of Earth Day. After all, shopping online means you're not running around from mall to mall looking for that perfect green gift or that toxin-free baby product, shampoo, or makeup item. And with the cost of gas these days, that's a very good thing indeed. 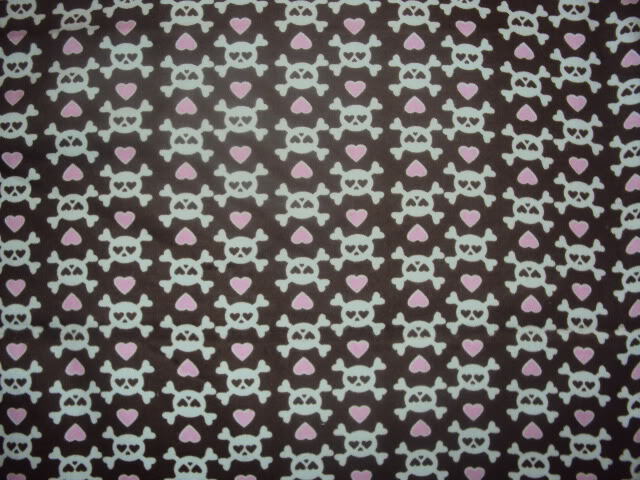 The favorite fabric of our winner! The first of our giveaways this week is now over. With the rule that the winner of the GEM Cloth pads must be new to the cloth pad experience, many of you were ineligible to enter. But there are no such rules for this week's second giveaway, so head over to that post and enter! 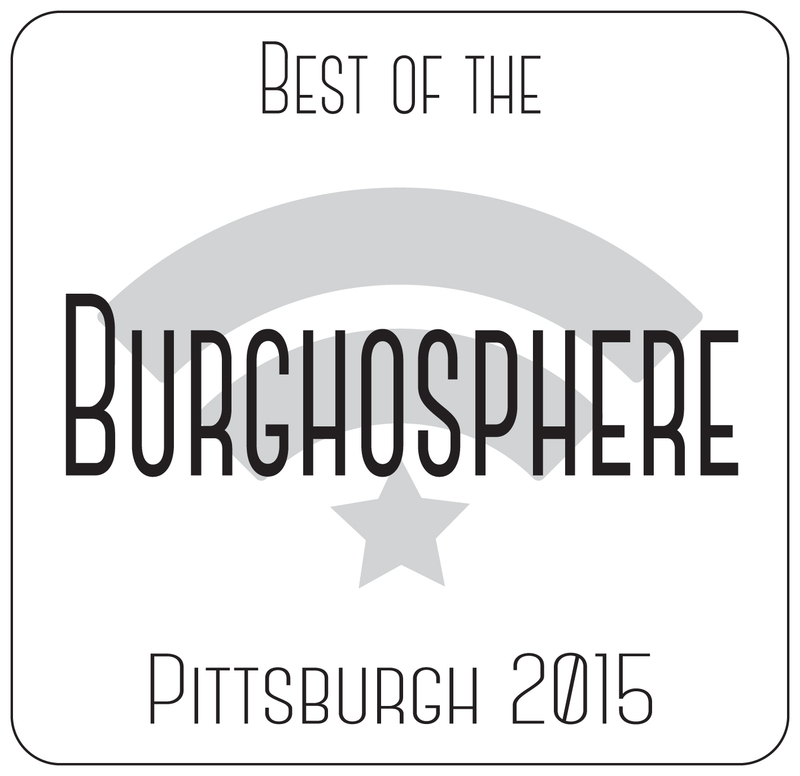 You could win $50 in gift certificates to some great retailers! Today is going to be a busy day, starting off with an appointment with the eye doctor in just a bit. This is the first time I'm going for a complete diabetic eye exam and I'm hoping for the best! The rest of the day will be devoted to finishing up my taxes, writing the dreaded checks, and then trying to get back on track with work that has been grossly neglected this past week. With that said, I apologize ahead of time for this brief recounting of the Sabbath this week. It was a beautiful, albeit windy, day. Sunday School, Palm Sunday worship, lunch and an afternoon at the always wonderful Phipps Conservatory with my husband, two of our daughters, one son-in-law and our grandchildren, the lovely little Lady Laura and little Lord Lincoln. This is an annual tradition and, other than regretting the choice of high heels today, it was a simply lovely time. The Spring Flower Show was beautiful, complete with vibrant hydraengeas, pastel tulips, white Easter lilies and a remarkable display of orchids of every size, color and shape. If you are not from the Western Pennsylvania area but ever have the opportunity to visit, this is one attraction you do not want to miss. I came home and soaked in a hot bath for over an hour, most of the time spent chatting with my mother who lives across the state. Then I made a spaghetti dinner. And now comes confession time. At 9:30, I headed up to my office and tackled the taxes. You see, Saturday night, somehow, a huge amount of the work I did on them, disappeared. Disappeared! So, not wanting to stress my husband out any further, as the deadline looms, I spent the last few hours of the Sabbath working on my taxes. Sometimes, when you are an accomplished procrastinator, these things happen. So, I'm off to begin this busy week. Don't forget there are two giveaways going on right now. One ends at midnight and the other in a couple of days. but sometimes I think progress progresses too fast! Last week on Facebook, I promised you a giveaway. So here it is. Over the last few months, I've been feeling a need to add something live to my office. I already have cats that I have to shoo out whenever I'm recording, and I have plenty of green living things, with fresh herbs growing on my windowsill and ivy and other miscellaneous plants scattered about (absorbing all the dirty electricity being emitted by my equipment), but I wanted something more. I wanted a Betta. A red Betta. Something calming, yet beautiful. PLUS Leaf & Bud Naturals just threw in an additional $25 gift certificate for the winner! That means one lucky person in the GG community will win a certificate from one of the above retailers plus an additional one from Leaf & Bud Naturals. How cool is that?! Now how's that for a contest? Tell your friends. Tweet it. Share it on Facebook. Can't wait to read the names! Contest ends at midnight (EST) on Wednesday, April 27th. Sometimes, life is sad. Truly, truly sad. A couple of days ago, someone called my daughter to see if she would be interested in being a model for sonogram training at a local pregnancy care center. The problem is, Jess had lost her baby a few months ago. 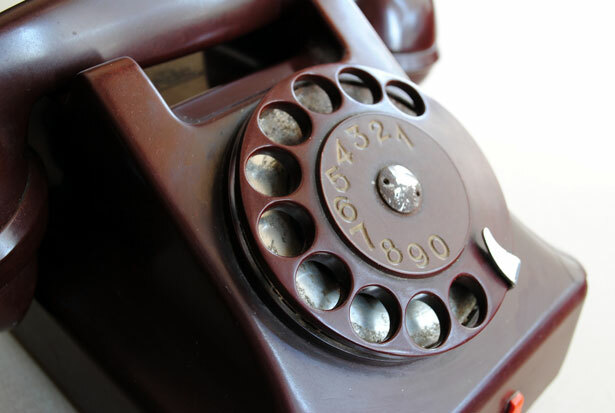 The phone call renewed the grief that is never too far from the surface. After she told me about this happening, I sat in my office and wept. You see, when our children lose children of their own, we grandparents experience loss as well. 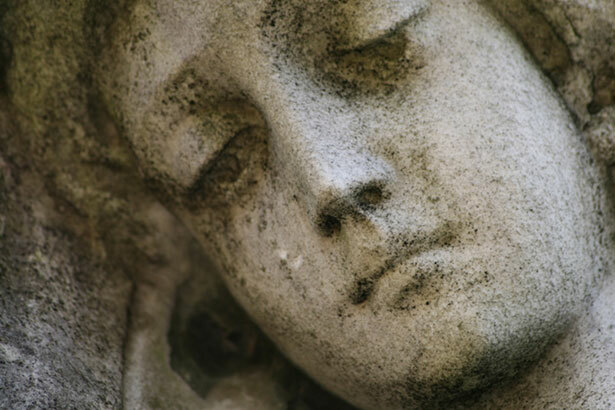 Whether it is through a miscarriage, stillbirth, or even a regretted abortion, grief is very real for a family whose child has never let out his or her first cry. Platitudes like, "Well, there was probably something wrong with the baby...this is a blessing," or "At least you're young and can try again," or "Thank God you have other children," do not help. A simple, "I'm sorry," is enough. And if you don't know what to say, say nothing. A caring touch, a tear, a hug...that's what the grieving parents, and grandparents, need. Of course, this grief is not limited to the children who have never cried. I have a friend who was told her son would die as soon as they cut the umbilical cord. Brandon had anencephaly. My friend's arms were filled, then emptied, leaving her only with crushing grief. Where does one turn when others expect you to "move on," "buck up," "look at the positive..."? Many times, feelings of grief and thoughts of their child simply get buried beneath busyness until everyone thinks you're okay. Have you been there? Are you currently mucking through the mire of "let's pretend we're all okay?" I know of one resource you might find helpful. Healing Hearts is a site designed to comfort those dealing with the loss of a baby. There are free eCards to send, Healing Gifts from Earth Mama Angel Baby, a comprehensive list of Grief and Infertility Resources, and even advice on what to say and what not to say. The best part of the site, however, for those of you who are in the midst of feeling the weight of empty arms, is the section called, Remembering Baby. This is a place where you can write a love letter to your little one and post it for the world to read. When no one else seems to remember...when even friends no longer want to listen...there is a place where you can share your memories and your grief with others who understand and care...others who have walked this painful road. 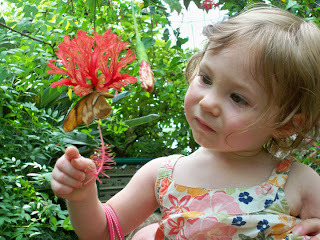 Today, I am missing grandchildren who I never had the chance to meet. I look forward to the day when our family is whole again...a time when we finally can wrap our arms around these beloved children...in Heaven. Until then, I trust they are all safe in the arms of Jesus. Review It Wednesday -- Cloths...for Mama! Several months ago, Michelle, from GEM Cloth enthusiastically agreed to participate in Review It Wednesday, by sending a pair of reusable cotton menstrual cloths for review, plus offering another set for a giveaway. The first step for me was to find someone to try them out. I put out a call for a volunteer on Facebook and got three responses. To make a long, and rather funny story short, these "magic" cloths made the rounds! As it turns out, each of these three women ended up pregnant and not in need of the pads after all! I started thinking I could market them -- make a small fortune offering a "touch of the magic cloth" to women who were trying to get pregnant. I could go on the road -- like a traveling tonic cart of old. Go from town to town with a megaphone, a fancy costume and dreams of retiring! 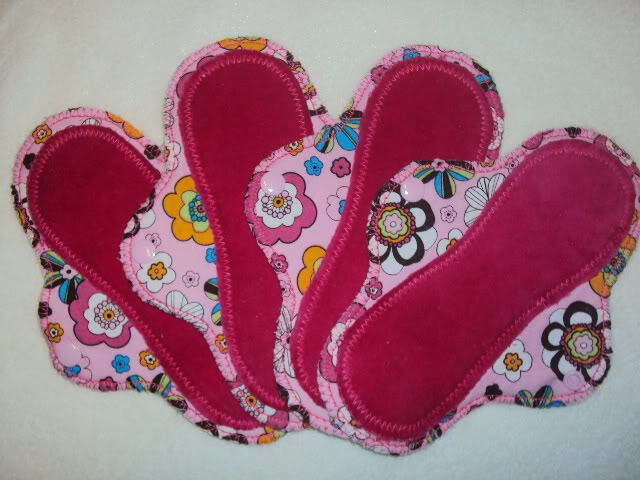 Instead, I had the last of the lucky mamas send the pads to me so I could decide who to send them to next. Hesitantly, I opened the package and removed the cloths. While they may have been "magic" for some, they most assuredly would be a curse to me if the unthinkable happened! As it turns out, I didn't need someone else to review them. After months of not having my period, the blessed monthly event has returned...full force. Was it the cloths? While I am beyond depressed that I have to continue to endure this monthly bleeding (which was excessive this past week), I am happy to report that I love the GEM Cloth menstrual pads! Michelle sent a regular pad and a heavy pad, and let me tell you, the heavy pad came in handy! As it turns out, I used them as backups to Super Plus tampons and was glad they were there to catch the overflow! Of course, if I wasn't so close to what I'm hoping is the end of this part of my life, I would invest in a Diva Cup. But with the end of each period, I'm hoping it is the END of ALL periods for me. After all, I will be 54 soon. The first pad I tried was the regular one. Initially, it felt a bit awkward, but it didn't take long for me to enjoy the absolute comfort of it! The pads have wings, but instead of that awful sticky stuff the disposables have, these simply wrap around the crotch of your underpants and snap. What's nice about this is that you can adjust the pads easily. I found both sizes to be comfortable, thanks to the cushy soft velour. And both held an amazing amount of blood without leaking through. Keep in mind, this is coming from a heavy bleeder. Now, we move on to the laundering issue. At this point, some of you may be getting a bit grossed out. But for me, after years of laundering bloody underwear and sheets, this was no big deal. Actually, since I only had the two pads, I ended up rinsing them out in the sink (I then cleaned it, don't worry) and hanging them up in the bathroom to dry. On one particular day when they were both dirty and I'd bled through my underwear and jeans, I did a small load of wash with my EcoNuts. Of course, I soaked everything in cold water for awhile before laundering, and then I hung them on the line to dry. I'm happy to report, they came out looking good as new. If you've used cloth diapers, there is no reason not to use cloth menstrual pads. There are quite a bit less messy! Plus, as with disposable diapers, the issues with disposable menstrual products are the same. 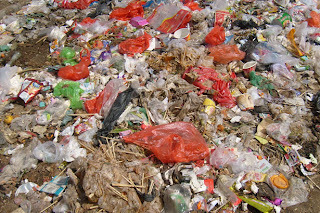 Unsafe chemicals and landfill issues. 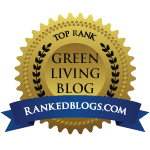 As I say over and over -- going green and common sense go hand-in-hand. For me, cloth diapers and cloth menstrual pads make perfect sense. They feature a variety of designs with cotton tops (flannel or cotton velour), flannel/cotton soakers, fleece/polyester backing and plastic snaps. Everything Michelle sells is budget and eco-friendly, from her cloth diapers and wipes to cloth nursing and menstrual pads. 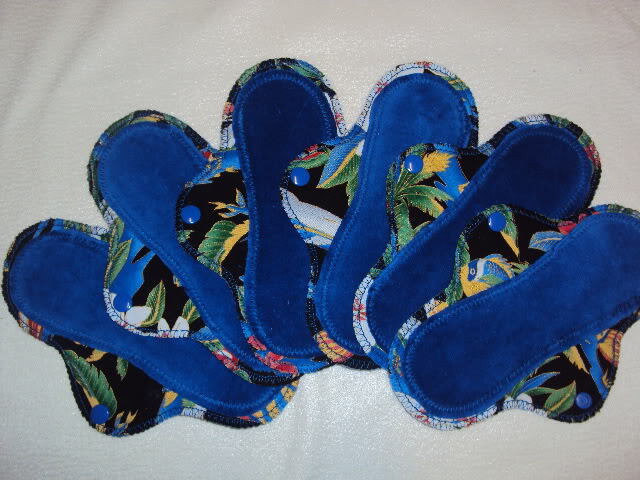 Want to experience the wonder and comfort of cloth menstrual pads for yourself? If you have never made the switch and tried cloth, Michelle is offering a pair (regular and heavy) of cloth pads as a giveaway! 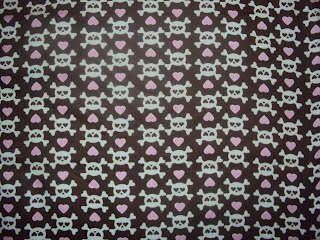 All you need to do is visit the website, check out the various fabric patterns, and then let me know, via the comment section here, or on the Facebook page, which one you like best. Contest ends at midnight (EST) on Monday, April 18th. Winner will be chosen via Random.org and will be announced on the blog the following day. Winner must contact me within 3 days to claim their prize. If no claim is made, a second drawing will take place. CFLs -- what to do with them when they burn out? Have you made the switch from incadescent lightbulbs to the energy saving, albeit, pain in the neck, CFLs? 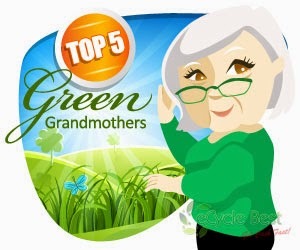 Uh oh, did Green Grandma just say something negative about something as eco-friendly as a Energy Star product. Yeah, I guess I did. It's just that these supposed-answers-to-our-problem solutions sometimes cause even more problems. You know what I mean? 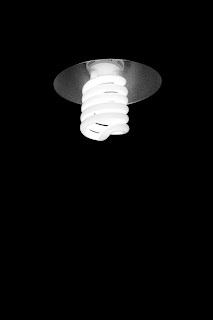 In the case of the energy-saving CFLs (compact fluorescent lamps), it's the mercury in them and the so-called "dirty electricity" they produce, as per Dr. Magda Havas, the foremost "authority" on the subject. The question is: who do you trust? A researcher who has relatively few backers, or the EPA who, we all know, always puts the safety of the American people first (cough, cough). My answer? I don't know. I can give you the facts about CFLs and you can research the suppositions. Save energy, using up to 75% less energy than a standard incadescent bulb. Save electricity costs -- about $40 over the normal lifetime of the bulb. Product 75% less heat than a standard lightbulb. Contain mercury. However, each bulb has about 4 milligrams of mercury encased in the tubing. Compare this to the 500 milligrams of mercury in the old glass thermometers we used to use. So, if there's so little mercury, what's the big hype? Well, it still is considered hazardous if the bulb is broken, which is why it is necessary to recycle the bulbs responsibly, so they do not end up broken in the landfill. There are outlets across the country (internationally, as well) where you can take your still-intact, burned out CFLs. Earth911.com is always an excellent resource for discovering where to recycle whatever it is you are looking to recycle, including CFLs. You can also check with your local Lowe's, Home Depot, Ace/True Value Hardware and/or IKEA stores, all of which accept unbroken CFLs for recycling. Also, many municipalities offer household hazardous waste drop-offs or curbside pickups. Why recycle CFLs? Well, some of the parts are reusable. Plus, by recycling, you prevent the release of mercury into the environment. Why use CFLs? One statistic states that if every home in the United States switched just one incadescent lightbulb with an Energy Star CFL, the energy savings would equal enough to light 3 million homes for 1 full year! Annual energy cost savings -- $600 million! A reduction of greenhouse gas emissions of 9 billion pounds per year (which is equivalent to approximately 800,000 cars)! So, as you can see, there is significant reason to make the switch. But what happens if you break one? Here's the really sticky part...the part I really do not like! Cleaning up a broken CFL is a pain in the neck. The EPA has a detailed "How to Clean up a CFL" article on their website (thanks for pointing this out, Becky!). It gave me a headache just to read it! I'm going to be extra careful to never have to need this article, but I'm guessing everyone should print it out and hang it inside the cupboard door where you keep your lightbulbs...just in case. It has the same light output as a 40W incandescent bulb, but lasts up to 25x longer. It uses less energy than a CFL, consuming 9 watts, which equals a 77% savings in energy used. It has a durable design with no filament. It is cooler than a CFL, which means it is significantly cooler than a standard lightbulb. Ouch...that last point isn't what you wanted to hear, is it. While it was estimated to cost between $40 and $50 when it hit the shelves this year, I found one at Lowe's for $34.98. But these bulbs last a really long time. According to John Strainic, Global Product General Manager GE Lighting, you can light your kid's desk lamp from birth through high school with just one of these bulbs. Plus, you save on your electric bill (estimated energy cost is just slightly over $1/year), so in the end, it is a bargain. At this point, we still have a choice as to how to light our homes, although if the government has anything to say about it, that choice will be taken away eventually and we will be forced to buy non-standard incadescent bulbs. But isn't it good to know that GE and other companies are already developing alternatives to the CFLs for those of us who are skeptical about the "dirty electricity" or fear one of our children or grandchildren breaking one of them? Going green. Like I always say, you have to use some common sense. I'm reeling a bit from a show I experienced (I can't say saw) last night, which is why it is going on noon and I still haven't posted this. 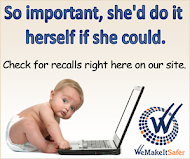 When you were pregnant, did you think about what you would like your kids to inherit from you? Two of my girls got my blue eyes. All three got my long legs. Jess got my once-blonde hair. Unfortunately, that is not all she got. Last night, she and I treated ourselves to a show at the Benedum in Pittsburgh. It was part of the Broadway Series and we had been looking forward to seeing it for quite some time. The show is called Next to Normal, brilliantly written by Brian Yorkey, who also wrote the lyrics (music by Tom Kitt), and winner of the 2010 Pulitizer Prize. The orchestration, set design, lighting and directing were amazing. But they didn't even come close to the performance delivered by Pearl Sun, who was the understudy for the lead role of Diana. Brilliant, brilliant portrayal of a wife and mother tormented by mental illness. The show is raw in its emotion, as you watch a family deal with the path of destruction bipolar disorder can leave as, like a tornado, episodes strike out-of-the-blue, with little warning. For Jess and me, tears started streaming down our cheeks halfway through the opening number. By the end of the 2 hours and 15 minutes, I had to wonder why I bothered putting on any makeup. Why the tears? Because, in addition to passing on some my physical features to Jess, I also passed on my mental illness, and sometimes that nearly kills me as I have watched her suffer from the devastating effects of being bipolar. Next to Normal brought back memories of years ago when my disease was undiagnosed and I was out of control. It brought back regret, something that people with manic depression learn to live with. It aroused in me concern for my daughter, who fears what may be ahead for her. And it made me think about the sweet lovely little Lady Laura, my 2 1/2 year old granddaughter, who is next in line to inherit this insidious disorder. Nevertheless, with all of that aside, I have to say that Next to Normal is my favorite stage production of all time. Never before have I seen anything that so accurately portrayed the raw emotions, fears, denials, pain and hopefulness that families dealing with this type of disease live through. The performances were spellbinding. The lyrics so brilliantly captured the thoughts and emotions from all sides of this disorder, that there is no way Brian Yorkey hasn't been touched in one way or another its vicious claws. I have never felt the need to rise in ovation at the end of a show the way I felt last night. And if I could have, I would have given Ms Sun a thousand standing ovations. She was that good. Was this a feel-good musical? By no stretch of the imagination. Would I see it again? In a heartbeat. And, despite the fact that Pearl Sun was standing in for Alice Ripley (who took home a Tony for her performance), I would want to see it with Ms Sun again. It is hard for me to imagine anyone delivering a more powerful and accurate performance. Also worth noting were the performances by Curt Hansen (phenomenal), Asa Somers, Ema Hunton, Perry Sherman, and Jeremy Kushnier and the direction by Michael Greif. I highly recommend going to see this gem. Click here for their tour schedule. Unfortunately, there aren't many cities left on the tour, which finishes up in Toronto on July 31st. So, what does all this have to do with my Sabbath Experiment? Well, for one thing, we went to see it on a Sunday. It was the only time I could work it into my schedule, even though I was tempted to forsake the Sabbath and the show and work on taxes instead. But there's something about The Sabbath Experiment that makes me feel accountable. So, instead of heading into my office after church (and lunch out with the kids) yesterday, I headed for the bedroom instead. I decided to take this Sabbath rest seriously, and I crawled into bed for a lovely afternoon nap. And it's a good thing I did, considering the emotional wringer I was about to go through that night. I also wanted to mention that I started teaching an adult Sunday School class series on Christianity and the Environment: Why Should We Care? I'm not sure if it was received well, but I'm hoping it will grow on the class as the series continues. I've rambled long enough. Work and taxes are beckoning me. After all, it is Monday, and I have to wait another six days until I can excuse myself for some much-needed Sabbath rest. 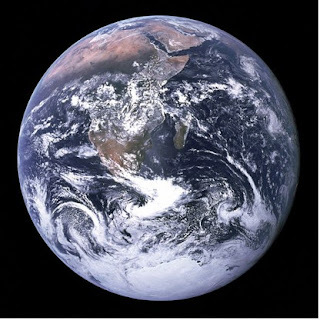 Did God make the world? Does he sustain it? Has he committed its resources to our care? A year ago, I posted this on Vinegar Friday. Apparently, the Western Pennsylvania weather was a bit milder than what we've seen this spring, so far. However, I know the warm weather is just around the corner, and with it comes bugs ... lots and lots of bugs. So I thought you all might appreciate a re-posting of this particular VF. So TGIVF once again! The sunshine and warm temps in Western PA have been wonderful....The winter, a harsh labor delivering spring at last. But with the spring comes the arrival of insects. Bees are trying to find homes inside of our metal patio furniture...dozens and dozens of bees. And ants are invading our home. It seems as though every time I turn around there's another one crawling up the wall, across the ceiling, on the kitchen counters, on the floor.....I'm so not enjoying this. Vinegar! Of course, it's Vinegar Friday. Pour some undiluted distilled white vinegar in a spray bottle and spritz it around where you think the ants are entering your home. If you still have ants, look for different entry points. Adding a smidgen of honey to the vinegar can make this even more effective, but be careful not to add more than a drop. Of course, it's common sense to make sure you don't have any open containers of food that are attracting ants. If you have kids or a spouse who likes to snack while sitting on the couch, lift up the cushions and the couch itself and vacuum up any crumbs. You don't want the ants thinking you've left treats just for them! By the way, distilled white vinegar works well to keep the fruit flies away as well. Just set out a small bowl of it in an inconspicous place. The next suggestion has a downside to it because it involves Borax. You must use Borax sparingly because of its toxicity to pets and little ones if it's used in high doses. Just add 1/8 teaspoon of it to some sugar and put it somewhere to attract the ants. They'll eat it and die. Seems cruel, doesn't it? 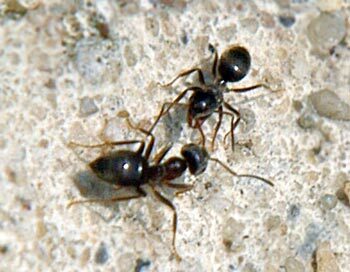 However, ants can be very destructive to homes and porches. You want to protect your property. But you don't need to use commercial products that can be harmful to the environment to do so. So grab a spray bottle of distilled white vinegar and spray away! Starting off with this easy, eco-friendly step could be the solution to your problem. I'm heading downstairs to give it a try. With the EPA welcoming comments about a potential ban on triclosan, lots of terms have been tossed around lately. Terms, I realize, that not all of you might understand. So I thought I'd give you a quick tip sheet, so you could be better equipped to make decisions on the safety of the products you are using from now on. BPA (Bisphenol A) -- a plasticizer linked to birth defects and reproductive problems. Developmental/reproductive toxicants -- chemicals that can block the normal development of a fetus, infant or child. Also linked to damage of reproductive tissues. Endocrine disrupters -- chemicals that interfere with normal hormone functions, often resulting in premature puberty in girls and in feminization of male fetuses. Formaldehyde -- causes cancer. Period. Naphthalene -- central nervous system depressant. 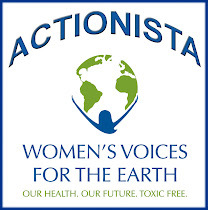 Organochlorine pesticides -- another case of hormone disruptors. These chemicals are most often used as insecticides and have also been labeled as neurotoxins. PCBs -- although these were banned three decades ago, these were used in appliances and electrical devices. Strong links to cancer. PFOA (non-stick and stain-resistant coating chemicals) -- coatings that can cause birth defects and cancer. Perchloroethylene -- causes damage to your liver, kidneys and nervous system. Petroleum distillates -- in addition to being extremely flammable, lung tissue and nerve cells are at risk of damage with exposure. 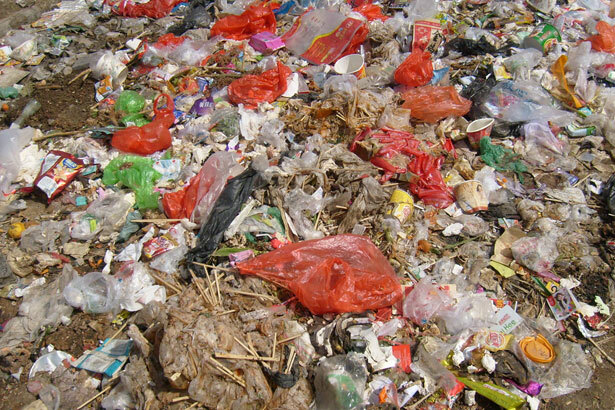 Phthalates -- another plasticizer (like BPA) that is most likely a carcinogen. Quaternary ammonium salt (Q-15 or quaternium-15) -- a formaldehyde releaser. Watch out for this one! It is hiding in many popular baby products! Sodium hydroxide (lye) -- severe damage to eyes, mouth, skin and throat when contact is made. Also can damage the liver and kidneys. Sodium hypochlorite (chlorine bleach) -- listen up, folks!! Bleach is responsible for more poisoning exposures than any other household chemical! Whiten your clothes with lemon juice and leave the bleach on the grocery store shelves! Besides, contact can cause severe eye, mouth, skin and throat damage, as well as damage to the liver and kidneys. Scary stuff found in most households! Sulfuric acid -- concentrated fumes can cause cancer. Contact can cause burns. Teratogens -- chemicals related to birth defects. Trichloroethane -- more liver and kidney damage. Triclosan -- this antibacterial ingredient has been linked to allergies, skin irritation and potential thyroid problems. This is just a short list, but it is a start. And I've addressed this issue in past posts, with even more chemicals listed. You need to read the labels of the products in your home and workplace. Your health, and the health of your children, depends on it! There are alternatives and it is time we, as consumers, start putting our money where the big name manufacturers' chemicals are not! Buying eco-friendly and organic products is not just the current fad. And it's not about a bunch of hippies. It's about a bunch of really smart people who are saying enough is enough!